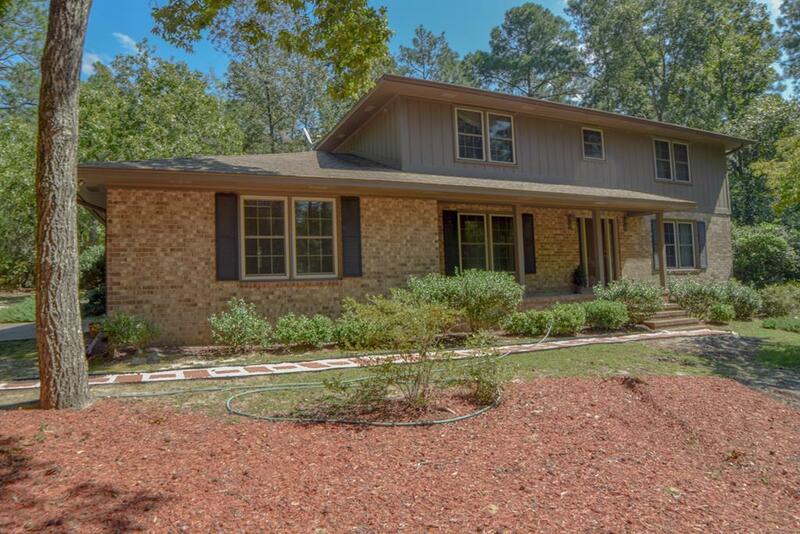 Spacious home & well maintained w/lg bedrooms, great closet space. New HVAC 2014, Roof-2009, new garage doors-2017, more updates listed in documents. Italian tile backsplash, breakfast rm which has extended addition (sunroom). Den w/fireplace opens to huge deck for outdoor entertaining. Alarm system. Beautiful 1.5 acre lot is level. Heated and cooled office or workshop off garage with many elec outlets. Side load dbl. gar. & driveway w/extra parking/turnaround pad. Centricon termite contract. County taxes only. Enjoy Gem Lakes wonderful Recreation Assoc. amenities: swimming lake & beach, tennis & basketball courts, playground & cookout shelter-just $172/year.